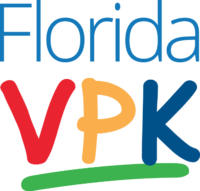 The Voluntary Pre-Kindergarten (VPK) program is offered by the State of Florida to all 4 year-olds born on or before September 1st who are Florida residents. The school-year VPK program includes 540 hours of instructional time beginning in August. The VPK program helps students prepare for Kindergarten success using VPK state standards. Pineview Preschools is a certified VPK Provider. *VPK Program may not be offered at all Pineview locations.